Home / Blog / Olive Oil & Plant Uses / Want a Bigger Brain? Up Your Olive Oil Intake! 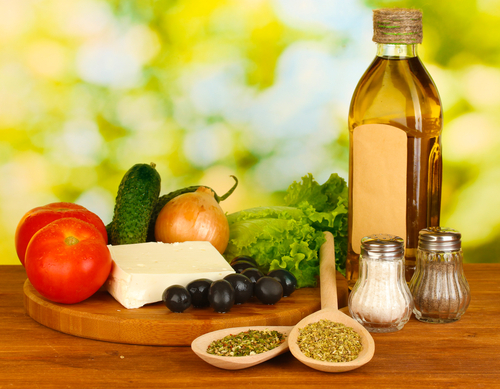 There have been some discrepancies in recent studies about whether the Mediterranean diet, which includes high levels of foods like olive oil, fish and nuts, lowers the risk of Alzheimer’s disease. To help settle these findings, researchers from Columbia University engaged in a new study using MRI-based neuro-imaging to analyze the role the Mediterranean diet plays in structural changes in the brain that occur because of aging. Researchers measured specific MRI biomarkers to analyze the volume, cortical thickness and structural changes found in the brains of 674 elderly subjects who did not experience any signs of dementia. The average age of these subjects was 80 years old, all of whom lived in northern Manhattan and represented multiple ethnicities. These subjects completed food frequency sheets to determine how closely they adhered to the Mediterranean diet. Results of this analysis showed subjects who had a higher Mediterranean diet score and adhered to the diet the most had correspondingly larger brain volume, white matter and gray matter volume compered to people who did not as closely adhere to the tenets of the Mediterranean diet. Researchers paid special attention to the benefits of a higher fish intake and a lower intake of red meat. Subjects who ate more fish had more gray matter volume in their brains, as well as greater cortical thickness, and people who consumed smaller amounts of meat had a greater brain volume. When adjusting their findings for age, researchers also determined people who consumed alcohol in moderation while also consuming more fish and less meat had even larger brain volumes. Based on these findings, researchers concluded that brain shrinkage, a natural phenomenon that occurs with age, can be delayed by adhering to a Mediterranean diet rich in vegetables, fish, fruits, legumes, nuts and mono-saturated fats, like those often found in olive oil. This provides even more evidence that olive oil can help you to live a longer, healthier and happier life! Get a bottle of our high-quality extra virgin olive oil today. Place your order online, or give us a call at My Olive Tree.